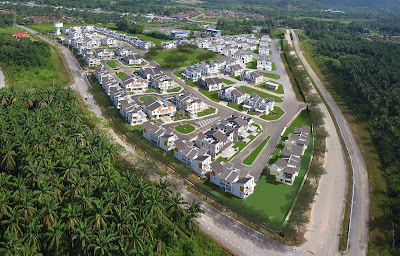 There were many competing housing projects around Bernam Jaya in Selangor and in Tanjung Malim in neighbouring Perak, but the market leader was Proton City, a high profile development next to the large Proton car-making factory which was designed according to town-planning concepts that were new at that time. It was a gated development with a mix of detached, semi-detached, terrace houses and low-rise apartments arranged around a very generous open space which included a lake which also served as a retention pond. The roads were wide with footpaths and well landscaped. However, this was a high-end project with pricing to match. PKNS had to pivot away from competing with the low-priced conventional housing projects, but instead to challenge Proton City in the medium-high price category. 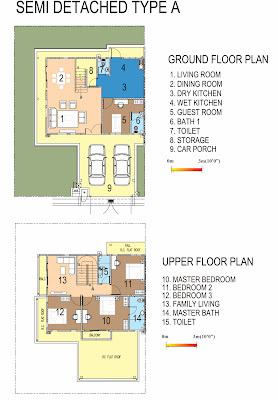 The two types of products that was proposed were wide frontage cluster houses and semi-detached houses. The selling price of the main product – the double story cluster house - was fixed at only RM290,000 – RM320,000) compared well with competing terrace houses. As for the Semi Detached houses, which made up 20% of the overall number of units, they were priced from RM350,000. Both these houses have proven very desirable. · Compared to narrow frontage terrace house constricted by party walls on its long sides, the cluster houses had more external walls to place windows: in fact the main rooms are able to get cross lighting and ventilation. The concrete porch allowed the possibility of being turned into a large balcony, adding to the feeling of spaciousness. As for the semi-detached houses, they were placed on a footprint only slightly larger than the cluster houses, and had built-up areas that were smaller than most other double-storey semi-detached houses. This was to create a particularly attractively priced product that was easily sold. 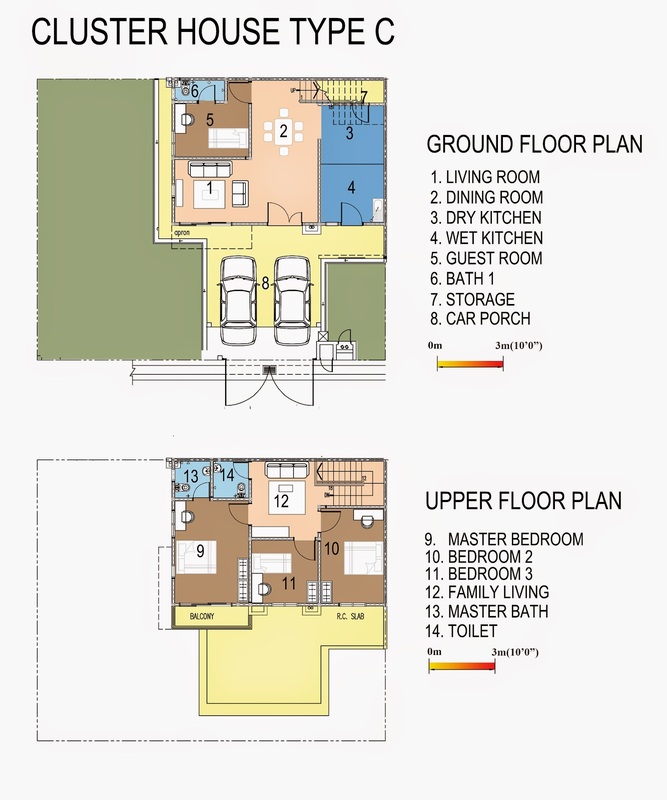 On top of the unique features of the cluster and semi-detached houses were the Honeycomb that matched the social quality of the hexagonal Honeycomb albeit at a lower density. Parents can easily oversee their children playing in the courtyard in front of each home. There are many ‘eyes on the street’ that can deter unwanted behaviour. Danger from traffic would be much reduced. Large trees can be planted in the courtyards to shade, cool and beautify the outdoors - suited for recreational and social use, not only for children but their parents and grandparents as well. A child friendly environment is friendly to people of all ages. The courtyards also provide space for communal events like weddings and festive celebrations where residents can set up tents. Courtyards are also linked to each other and to the main centralized green area. Having to provide for circulation space makes up a considerable portion of the cost of housing. For landed property roads can take up 40% of the total development land. In our case it was only 37% and this saving in roads allowed us to provide more green open space area than the planning rules required. Moreover, by integrating circulation space into a courtyard space surrounded by houses, the advantages of a small neighbourhood are achieved while at the same time reducing the amount of space that is given over solely for circulation. The courtyards do allow for car and/or pedestrian access, but that circulation area is part of a bigger courtyard space that allows for children’s’ play, social interaction and communal events. 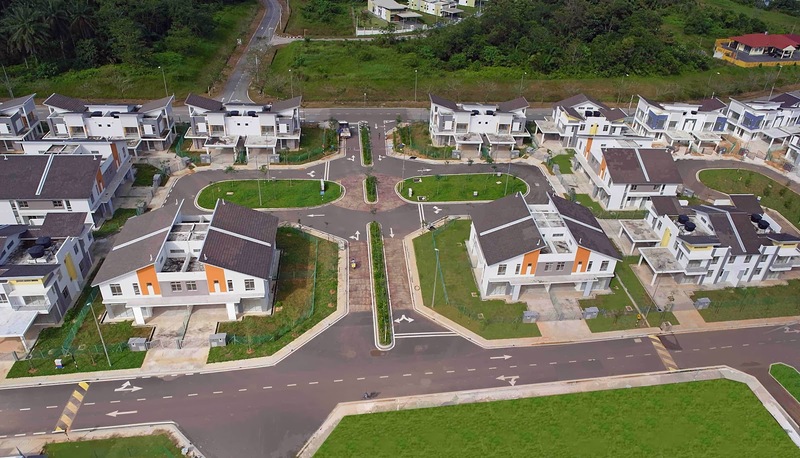 The design of the layout achieved almost 10 units per acre and sellable land at 50% of the total development area which respectively matched and exceeded the figures achieved with conventional terrace houses. 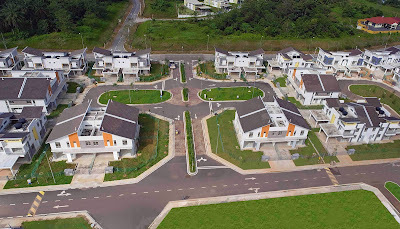 On this 20 acre site, we were able to build 207 units of which, 20% were semi-detached houses and the rest, cluster. 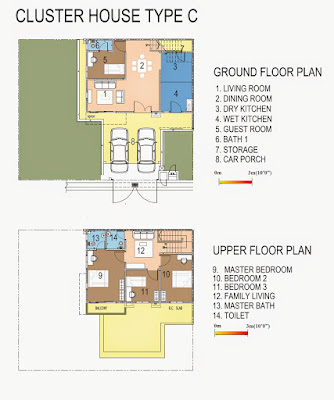 Together with the cost-saving features of the external layout, the internal layout of the houses were also designed to be especially efficient with low built-up area. Both these efficiencies kept down the cost to that of an equivalent terrace house development and helped the developer’s bottom line. 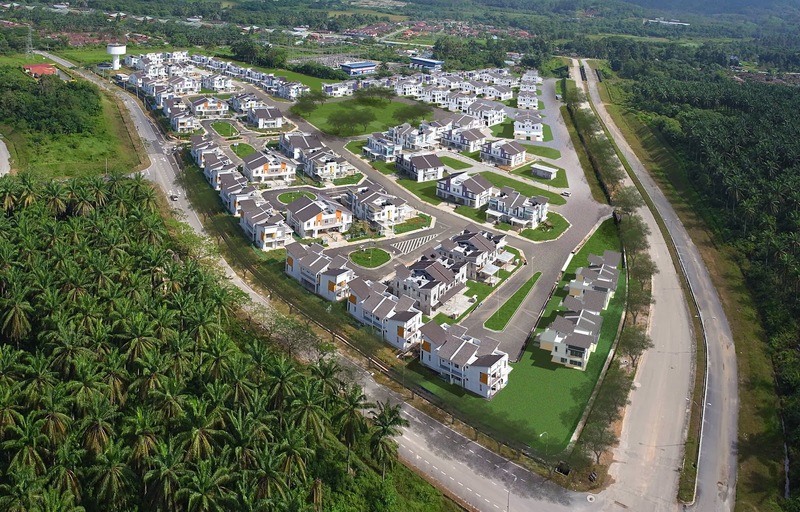 All the units will be handed over to buyers this year and the construction of new phases in Bernam Jaya with higher-end houses indicate that the pivot to more profitable products by PKNS was successful. We're now working on a new Phase with a new Honeycomb "Zero-Lot" layout.